Your daily gadgets like your smart phone, tablets and laptops are all equipped to be compatible with Google games that you can easily install and play. Most games are free but certain games will require a fee. 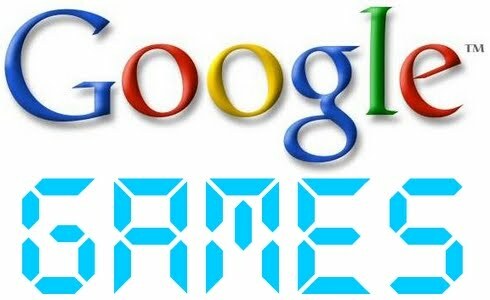 Google games are accessible from a hub where all games are extractable from. This is called the Google Play. From here you can immediately browse from one category to the other and click on the game that you like best. Games are a great stress reliever and a perfect way to kill time. The following are trending games from Google that have been enjoyed by many people out there. See how you like them! Lead your money to the end of the quest by following the trails of coins that are laid ahead of him. There may be traps, barriers and plenty of enemies along the way, but the goal is to reach the very end of the jungle and with as many coins as you can collect. Kill the enemies by fighting them or jumping over them and make way to your success! Not all games require the internet connection to be able to function. This particular games aims at keeping the shark fed and never hungry. Capture fish or even humans swimming nearby to keep him satisfied. The shark can also earn coins as well as gems to keep the points increasing and buy several life preserving aides from the shop. Go against someone to win a game of Tetris. Racing against time and blocks that are continuously falling, your task is to clear the line from below by placing blocks as tightly together as possible. Tetris is fun enough alone but a lot more fun when played against someone else. The Tetris Battle is what this is all about. Compare strategies, points and winning results against an opponent and bring the fun of Tetris to a whole new level. Have you always been a fan of Sonic the dashing Hedgehog? If so, this game is for you. The Sonic Jump takes you on a race to complete quests in as little amount of time as you can. The aim of the game is to be the fastest among your friend’s scores. Sonic carries explosives to boost his speed. As well as this, he is also equipped with the latest jumping feature to overcome several barriers at once. A true challenge for the mind is the Maze KING. The game keeps your mind busy trying to figure a way out of the maze with the least faults. As they are a multiplayer game, you can have your friend, family or even children play along against you to beat your scores. However, if you wish to play alone, the game will form stages for you to complete. They become harder by the stage. No matter if you have a tablet or plan on installing one on your smart phone, the game is compatible for all devices. Racing your car down the lane is striking. But racing it uphill is the true challenge of racing. This game challenges you to go up and down hills and prevent landing head first through the bumps. Earn coins and bonuses along the way. These can be redeemed with aides and items from the race store. Defeat the zombies that are lurking in the dark and running around to chase you using your weaponry and fire. Run, throw, fight against them and clear every room full of zombies to reach the next level. Every level will present a new challenge but you will always have the chance of boosting your ammunition and supplies to be prepared for the worst. Now that a list has been presented before you, you can now start installing the games that interest you the most. Look for games that are free. They require no payment in advance of installing. However if you happen to come across games that will cost you some money, be sure that you understand their compatibility features beforehand. Related to "Trending Google Games"